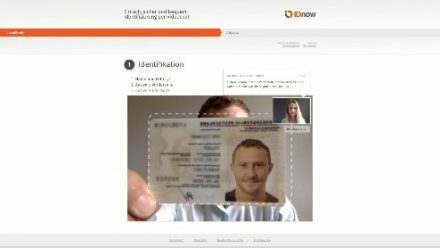 The Munich fintech IDnow provides legally compliant video-based identification and eSigning solutions for completing contracts digitally. The company was founded in 2014 by Dennis von Ferenczy, Sebastian Bärhold, Armin Bauer and Felix Haas. The quartet is well known in the startup scene — they founded their ticketing company amiando in 2006, which they sold to Xing for more than 10 million euros in 2011. IDnow is also on the road to success. The company was just recently distinguished by receiving the Euro Finance Tech Award “Most Successful FinTech.” Legally compliant and patented across the EU, the startup’s video-identification solution makes it possible to verify an individual’s identity by video chat. Until now, it was necessary to show identification in person at the bank or post office to conclude contacts that require identification, like for an account or a loan agreement. With the Video-Ident procedure, it is much easier to complete the whole process with just a valid form of identification and a smartphone or a computer with a webcam. The startup has focused its offer on companies that need to verify an individual’s identity to acquire customers online: banks, leasing companies, credit card companies, those issuing cryptocurrency, robo-advisors and many more. This focus has led to IDnow’s growth in many European markets. The founders’ patience was put to a major test during an extremely long wait for their Video-Ident procedure to be approved by the German Federal Financial Supervisory Authority (Bundesanstalt für Finanzdienstleistungsaufsicht – BaFin.) When they finally received approval in Spring 2014, they were more than delighted. That was the beginning of video-based identification in Germany. Yet another milestone: expanding to include a qualified electronic signature (QES) in April 2016. Thanks to the EU Regulation on “electronic IDentification, Authentication and trust Services” (abbreviated to eIDAS), the solution is extremely popular across Europe. The EU patent for the video identification procedure then followed in May 2016 — the founders had applied back in 2013. As soon as one challenge has been successfully tackled, the next issues await. The most challenging current topic for IDnow is the internationalization of the company. An increasing number of European countries want to shift to using video-supported identity verification and are adjusting their laws accordingly. The Munich startup is already on the market different European countries, e.g. in Spain, Italy and Switzerland with Video-Ident and even on some markets with their eSigning solution as well. Their next target country is France where the introduction of Video-Ident is imminent. For further international expansion, the Munich businessmen even brought a new CEO on board – Rupert Spiegelberg. He has 17 years of experience in growing technology companies in Europe, the UK and the US with a focus on B2B fintech and regtech companies. 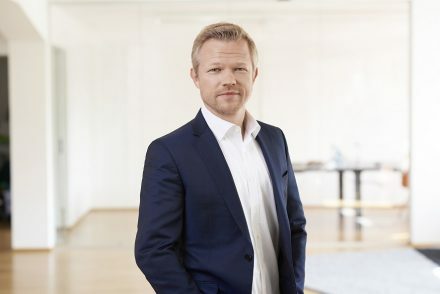 As CEO for his previous employer, the international software company Investis in New York, Spiegelberg achieved the fastest growth for a US company within the industry. IDnow’s further development should certainly be interesting to follow. “1. Don’t get too attached to your very first idea. As a founder, you have to constantly toss out ideas and find new inspiration to develop a really strong product. 2. Do your thing 100%! A successful company requires its founders’ complete dedication. 3. Market orientation is really important. Founders should offer a solution that is distinguished by crystal clear customer value.